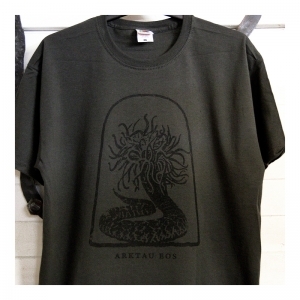 Arktau Eos "Autochthon" t-shirt. Fruit of the Loom graphite grey colored t-shirt with a black print on front. Screen printed in the Aural Hypnox lodge. 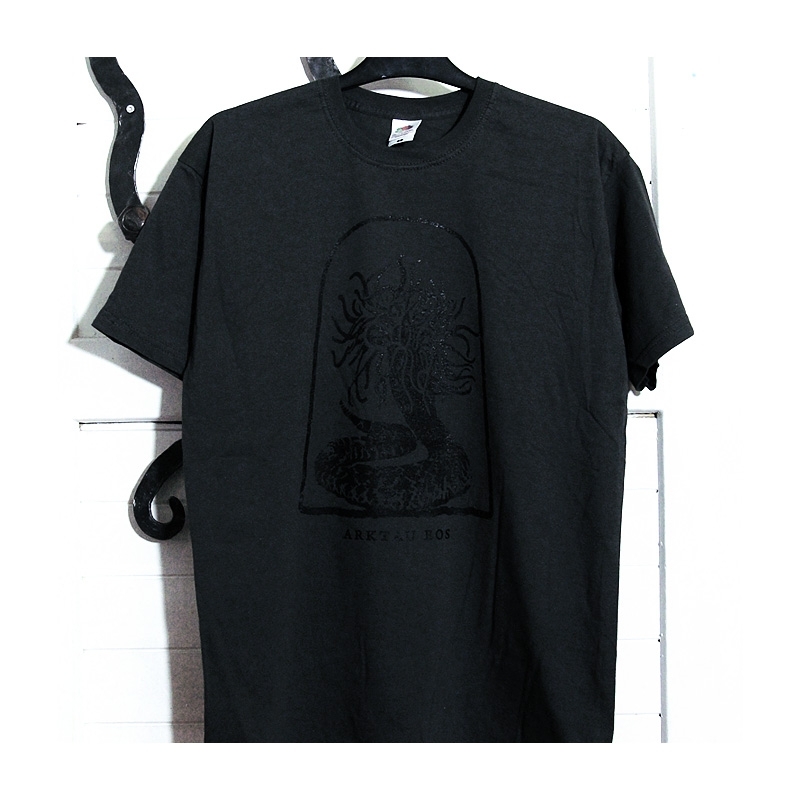 Arktau Eos "Autochthon" t-shirt. Fruit of the Loom graphite gray colored t-shirt with a black print on front. Screen printed in the Aural Hypnox lodge.